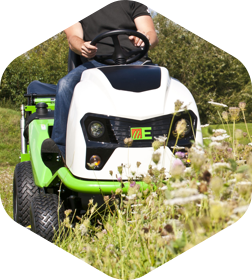 With Etesia at RT Machinery you’re investing in great design, great build and a reputation for “Anti Clog” cutting and collecting grass, in all conditions, that has defined these machines since they came to the UK back in 1992. Husqvarna at RT Machinery is where technology meets tradition. This kit delivers to you powerful yet low-vibration equipment across a range of battery, petrol, diesel and electric machines as well as robotic systems with Automower. 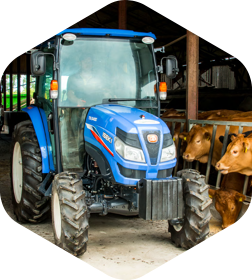 Iseki at RT Machinery gives you a choice of compact tractors that make for extremely reliable and robust workhorses. We’re still servicing some that were made back in the 1970’s! 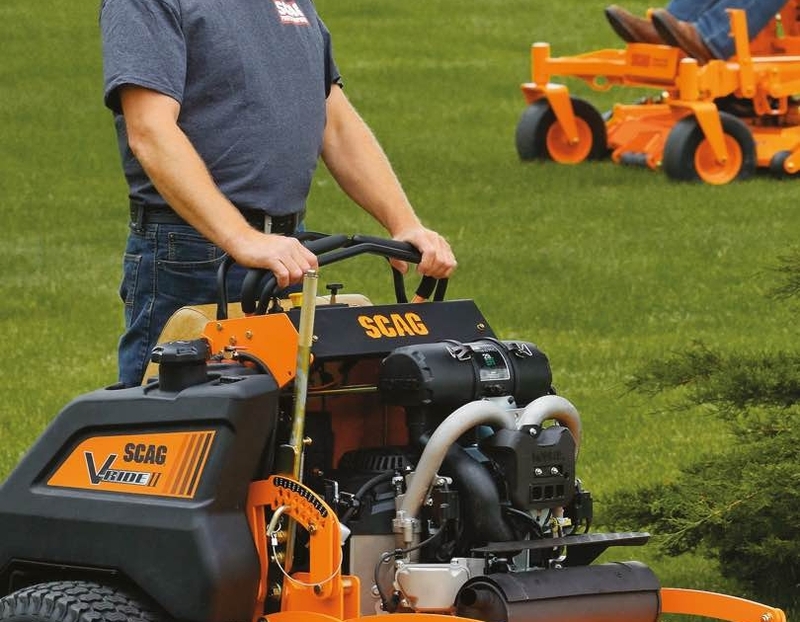 Scag at RT Machinery makes for such a sound investment in mowers that we guarantee you a buyback in five year’s time or offer your money back if it doesn’t deliver what we say! 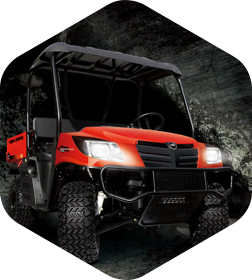 A really dependable range of ride-on, walk-behind and robotic mowers. Ventrac at RT Machinery brings you a tractor with genuine x-factor. So much so we bought one the first time we saw it working even though our philosophy is very much test, test, then test some more. You will not be disappointed! 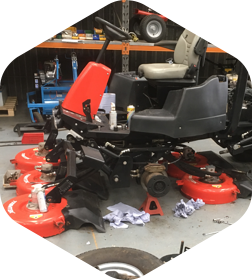 Your machine will be very well looked after whether you need a repair or a fixed-price service in our fully equipped workshop, or indeed a spare part to fix the machine yourself. 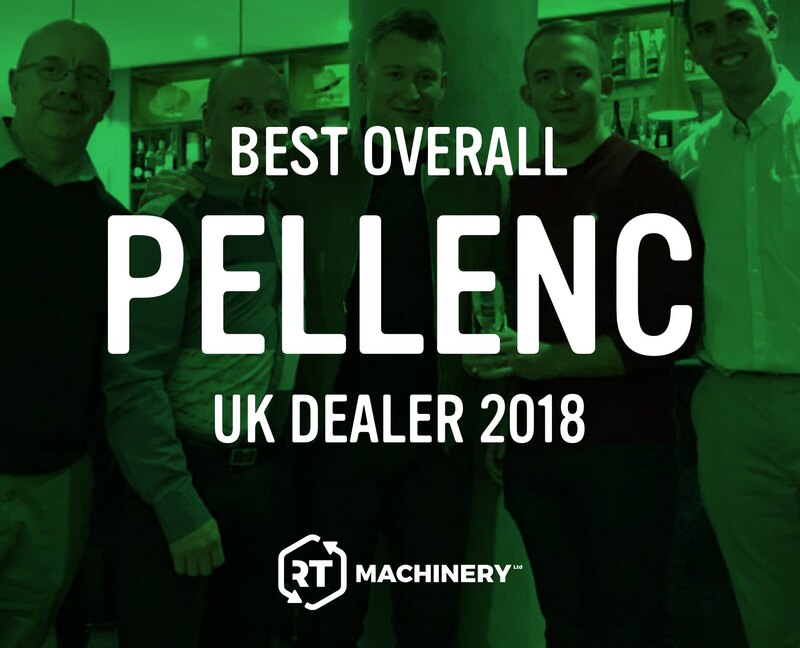 With our skills and combined knowledge stretching over 50 years in the industry and our network of industry contacts, there is not a problem, fault or issue we have not encountered before. At RT Machinery in Nether Winchendon. Husqvarna at RT Machinery is where technology meets tradition. Scag at RT Machinery makes for such a sound investment. 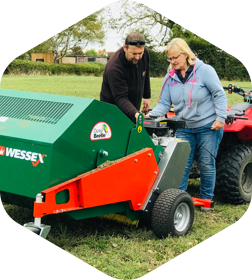 We stock some great pieces of used and ex-demo kit here at RT Machinery. 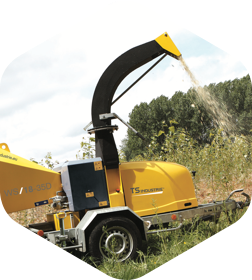 At RT Machinery we have a great variety of equipment available for you to hire. 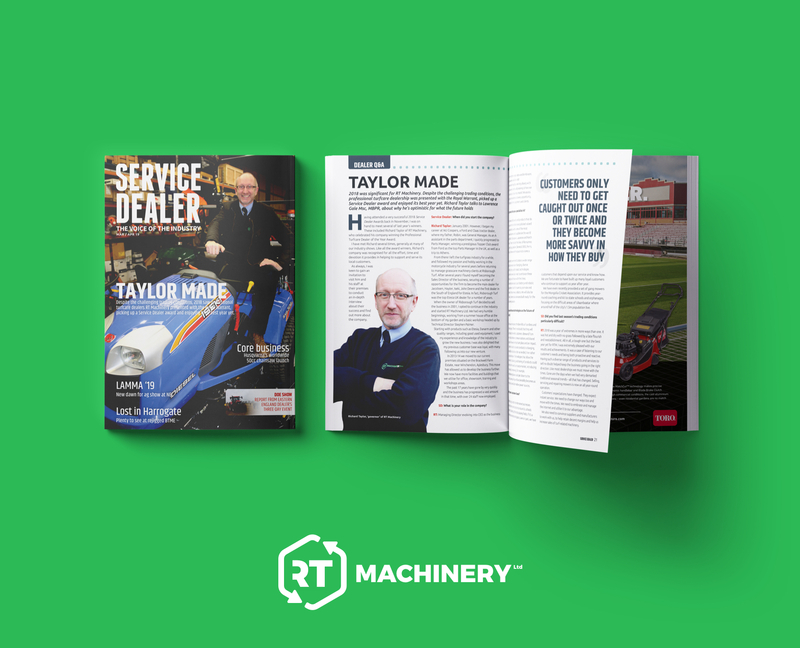 Here at RT Machinery, we always have a huge variety of fantastic machinery offers and deals available to you. Check out our product of the week! 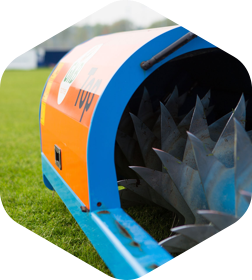 We are an independent company serving the professional ground care, sports, private estate and homeowner turf care markets. 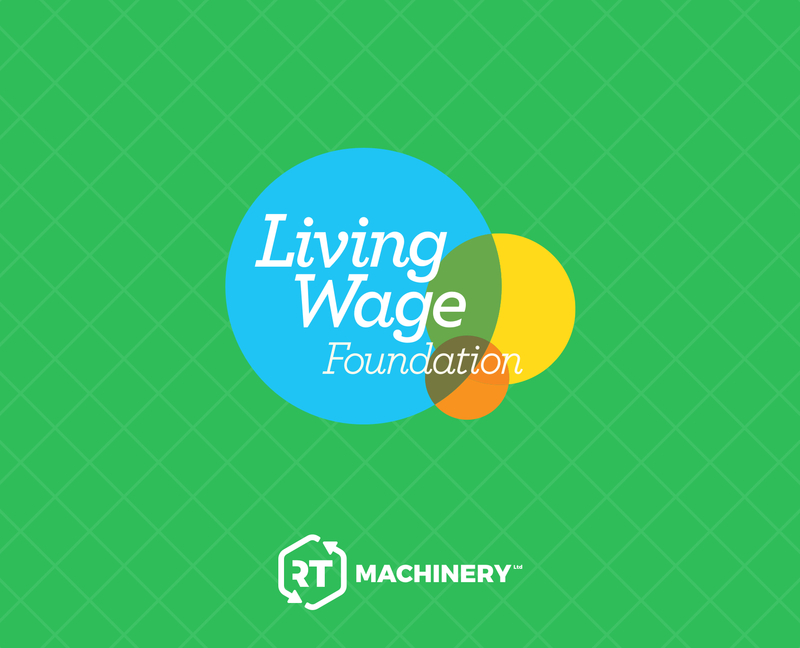 Our company mission is “To link value for money with service” and to help you choose the right product to fit your needs and budget. 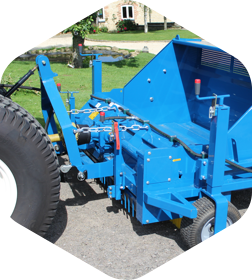 We can offer you an extensive range of new machinery, used machinery, machinery hire, as well as servicing and parts. 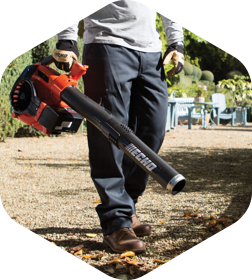 Using many years of combined industry experience, product knowledge and a genuine will to please, we will respond to your enquiries and requests promptly and accurately. If you’re in the area, do come into our showroom: there’s always a warm welcome! If you have an urgent requirement outside of our usual opening hours, please call us on 07740 483 175. 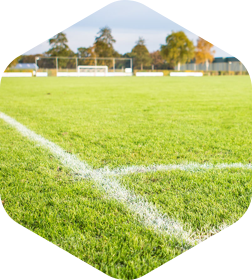 We are an independent company serving the professional ground care, sports, private estate, and homeowner turf care markets. Our company mission is “To link value for money with service” and to help you choose the right product to fit your needs and budget. 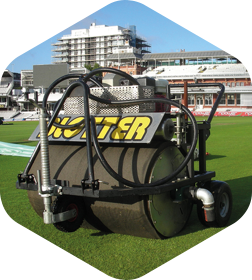 We can offer you an extensive range of new machinery, used machinery, machinery hire, as well as servicing and parts. Using many years of combined industry experience, product knowledge, and a genuine will to please, we will respond to your inquiries and requests promptly and accurately. If you’re in the area, do come into our showroom: there’s always a warm welcome! 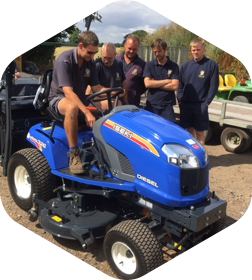 Dennis, Lloyds and Ransomes and RTM Gang Mowers at RT Machinery. Suffolk and Wessex Paddock Sweepers at RT Machinery. 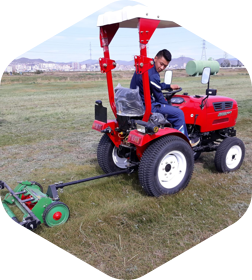 Dennis, GKB, Groundsman and Sisis Turf Care and Maintenance Equipment at RT Machinery. BCS, Iseki and Kioti All-Terrain Tractors at RT Machinery. 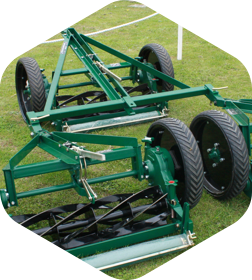 GKB, Groundsman, Ryan and Sisis Aerators and Turf Machinery at RT Machinery. Cushman and Kioti Utility Vehicles and Trucksters at RT Machinery. 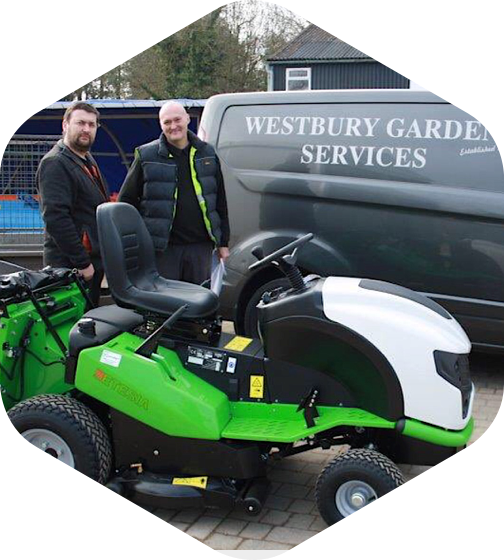 Danarm, Dennis, D.W. Tomlin, Ego, Etesia, Ferris, Husqvarna, Iseki, Orec, Pellenc, Scag, Shibaura, Ventrac and Wessex Mowers at RT Machinery. 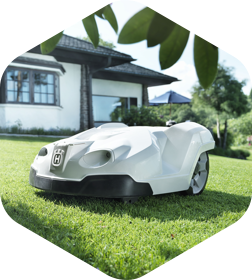 Husqvarna Automower, Scag and Spider Robotic Mowers at RT Machinery. 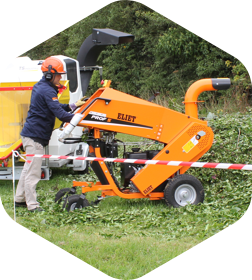 Eliet and TS Industrie Chippers and Shredders at RT Machinery. and Smithco at RT Machinery. 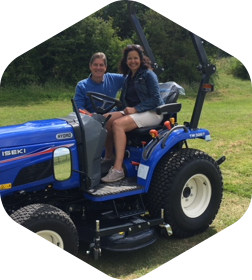 Mr and Mrs Shimen and their new Iseki TM3267H with Mid-Mount deck. 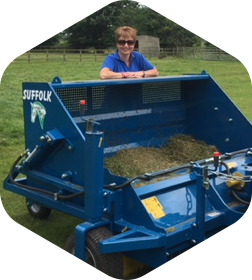 Mrs Holland and her new RTM Suffolk Sweeper. A very successful handover and installation! 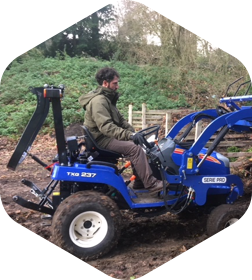 Steve and his team at Stowe Landscape Gardens in Buckinghamshire take delivery of their new Iseki SXG326 with it’s Hi-Lift – 54″ – Direct Collect with Shaft Drive Deck. Cicely Davey with her new Wessex Dung Beetle: a versatile paddock cleaner to keep the field clear and allow the grass to grow as it should. As a family business, we feel very privileged to have been awarded a Royal Warrant on April 1st 2018. 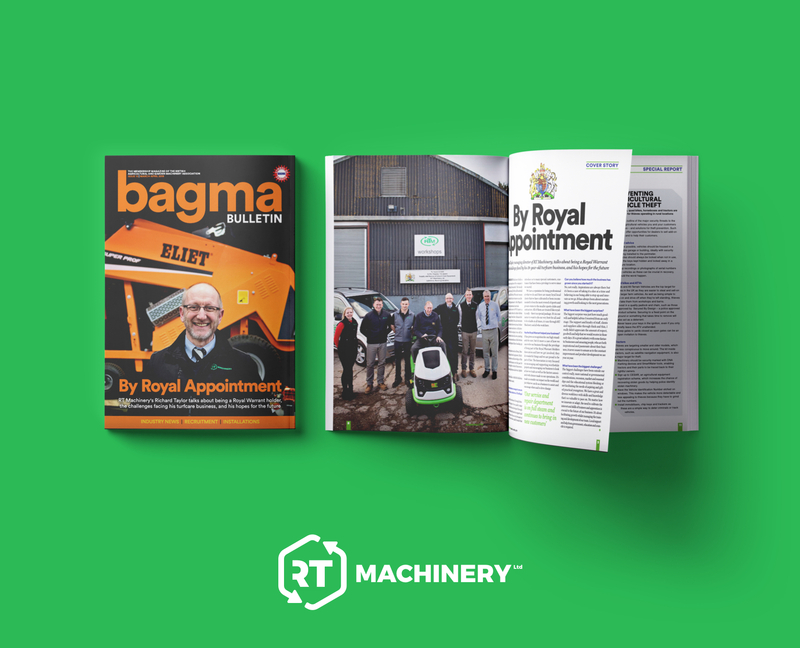 Our services to the Royal Household and Her Majesty The Queen began in 2001 when RT Machinery started trading and has always been considered a privilege and a pleasure. 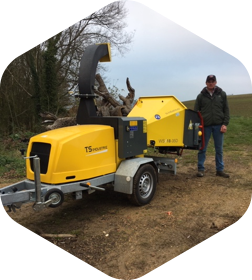 RT Machinery are proud to support Dart International UK.